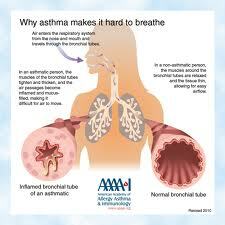 In asthmatic attack usually two distinct phases occur (in case of atopic asthma). 4. Prostaglandins D2, cause bronchoconstriciton. 5. Platelet activating factor, causes platelet aggregation and release of histamine.